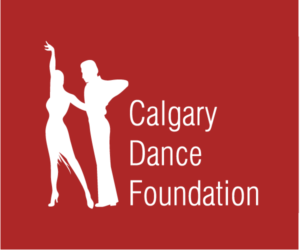 The Calgary Dance Foundation is a non-profit organization which was created to provide educational and affordable opportunities to all individuals interested in ballroom and latin dancing. Dancing promotes physical health, discipline, and the love of the arts. It is an ever evolving sport requiring nothing more than the joy of movement or can require as much physical and mental strength and agility as an Olympic athlete. The mission of the Calgary Dance Foundation (CDF) is to promote healthy lifestyles thru regular activity and exercise. As a dancing member of CDF, an individual benefits from education/coaching, leadership and sportsmanship training and equipment requirements. The CDF was founded in January 2012 as the Executive members saw a growing need for assistance with funding for individuals who were dedicated to dancing but could not afford financially to continue with their training. The Executive board developed a program which would ease the financial burden and at the same time teaching students additional skills of leadership and teamwork. Each participant of the program is required to help the other members increase their proficiency thru working together on different skills training. The incentive to participate in the program for the students is additional training or equipment at no cost. The benefit to the CDF is a cohesive group who are increasing their life skills, training and the love of dance. In the last few years, we have taken our love of dancing into Calgary schools. The principal of one of the schools shared with us her observation that her school’s spirit rose 100% as all the kids were required to interact with each other while learning their dance routines. It was great to watch them learn a new and positive way of communicating with each other.